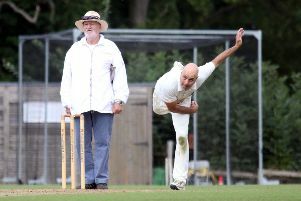 Westbury were confirmed Cherwell Cricket League division two champions after a comfortable win on the DLS method on Saturday against Wolverton. Wolverton elected to bat first but could only reach 142-9 off their 35 overs as the weather interrupted play several times, Charlie Williams taking 4-40 in a good spell. 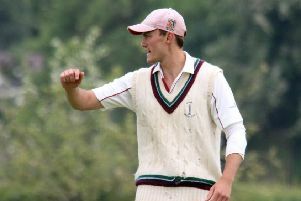 In the revised chase, Westbury lost three wickets as Tom Gurney 75no and Sam Harper 33no made light work of the target. Sandford St Martin will be longing for the season to be over as they slumped to another crushing defeat, this time a ten wicket loss at Oxford II. Rob Keat 5-24 and Harry Startin 3-26 combined to skittle Sandford out for just 90, before Oxford raced to 93-0 in the 16th over as Abdullah Sadiqi hit 46no and Mark Sheehan 40no. Aston Rowant II kept alive their hopes of avoiding the drop with a 94 run win against Cropredy. Alex Jewell 71, Thaddeus Cooper 59 and Oliver Shaw 39 helped Rowant to 265-8 in their 50 overs, and then left-arm spinner Chris Leaney claimed 5-44 as Cropredy fell in the 42nd over with Luke Cherry 55 top scoring.